Natalie Harris joined the Coalition for the Homeless in April of 2010. Since then, she helped Louisville initiate a 100K Homes Initiative called Rx: Housing and a community-wide education campaign about homelessness. Natalie was one of forty-seven leaders to graduate from the 2017-18 Achieving Excellence class – a prestigious and highly selective training program offered by NeighborWorks America in collaboration with the Harvard Kennedy School of Government. She serves as Co-Chair of the Kentucky Interagency Council on Homelessness and Secretary for the Homeless and Housing Coalition of Kentucky. Four years prior to that, she served as CEO of Miami Valley Housing Opportunities, a nonprofit supportive housing provider in Dayton, Ohio. MVHO manages almost 600 units of supportive housing and operates the PATH program which provides street outreach to homeless, mentally ill persons. 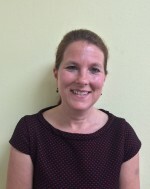 For 12 years prior to 2005, Natalie served as director of the Specialized Housing Resources Department at Kentucky Housing Corporation (KHC), the state housing finance agency. There, she was responsible for development, implementation and coordination of policies and procedures relating to the Housing Opportunities for Persons With AIDS (HOPWA) Program, Affordable Housing Trust Fund (AHTF), Appalachian Regional Commission (ARC) Program, Emergency Shelter Grant (ESG) Program and the U.S. Department of Housing and Urban Development Continuum of Care Programs. She has served as a consultant to the U.S. Census Bureau, Corporation for Supportive Housing, U.S. Department of Housing and Urban Development and the Urban Institute on issues related to rural homelessness and supportive housing. Before joining KHC, Natalie served as director of the statewide Homeless and Housing Coalition of Kentucky and the Appalachia Service Project home repair program. She earned her bachelor’s degree from Auburn University in Auburn, Alabama, and loves to cook and eat in her spare time. Mary Frances has been on staff at the Coalition since July 2006. 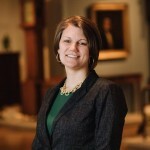 Her duties include coordination of Louisville’s Continuum of Care process, writing and coordinating the Consolidated Application of the HUD Continuum of Care grant, working with homeless service providers to coordinate a community effort toward addressing the issue of homelessness, and working with Louisville Metro representatives to update and implement the community’s Consolidated Plan. Before coming to the Coalition, she served twelve years as Program Manager for a transitional housing facility serving homeless single parent families. She spent seven years providing in-home case management services for the elderly. In 1993, she received her Masters of Social Work from Washington University in St. Louis with concentrations in Social and Economic Development, and Management. Melissa Kratzer joined the Coalition as Director of Development in June 2017. She has been working in fundraising and communications since 2010, having worked for Wellspring, WaterStep, Kosair Charities, and the Food Literacy Project at Oxmoor Farm. She earned her BA from Centre College and a Master of Nonprofit Administration from Notre Dame. Melissa earned her Certified Fund Raising Executive credential in 2017. She is the mom of an adorable and brilliant toddler. Brandi Scott joined the Coalition for the Homeless in August 2013. Her duties include Continuum of Care grants management and Quality Assurance Standards. Prior to joining the Coalition Brandi worked in HUD grants management in both the nonprofit sector and for Louisville Metro Government. She earned a Master’s Degree in Public Administration from the University of Louisville School of Urban and Public Affairs in 2009. Catherine McGeeney joined the Coalition for the Homeless in July of 2013 as the Director of Development. In April 2017, Catherine transitioned into a role as the Communications Strategist for the Coalition, where she works part-time on the strategic direction of the Coalition’s communications, including in enewsletters, social media, and through written campaigns. Catherine joined the Coalition from Assumption High School, where she was the Director of Alumnae Relations and the Annual Fund; prior to that, she managed the client services team and strategic client initiatives for an ethics program provider in Chicago, IL. Catherine received her B.A. in English from the University of Notre Dame, where she graduated from the Honors Program, and she lives in the Highlands with her husband and their three young children. Will joined the Coalition in 2013. He is responsible for administration and support of the Kentucky HMIS database in Louisville. He works with Kentucky Housing Corporation on HMIS development and manages the HMIS grant. 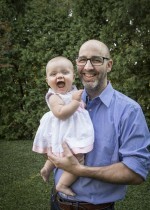 Will has 17 years of IT experience and has worked for the College of Medicine at the University of Kentucky, the College of Business at Morehead State University and the College of Business at the University of Louisville. Marsha Bailey has been with the Coalition since 2004. She assists the Executive Director in managing the organization’s administrative and financial functions. Her responsibilities include accounts payable and receivables, account reconciliations, and recording contributions. She updates the Louisville Street Tips, a resource booklet for homeless individuals, and controls inventory. She is responsible for human resource duties including payroll and employee benefits. Marsha coordinates the logistics of meetings and supervises volunteer staff. She came to the Coalition with 15 years of administrative experience. Megan joined the Coalition for the Homeless in 2013 as one of the first members of the Single Point of Entry program where she assisted clients in finding shelter. In 2018, Megan became the Housing Lease Manager for the Coalition. She manages leases for several Permanent Supportive Housing programs. Megan is responsible for new client intakes, certifications and re-certifications, inspections, calculating client rent payments and general housing management duties. Megan earned her Master of Social Work from Spalding University in 2013. 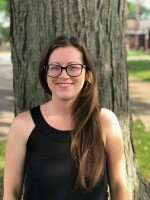 Erin Klein joined the Coalition for the Homeless in 2017 as the Housing Case Manager. She works with participants of two Permanent Supportive Housing (PSH) grants and her duties include conducting home, office, and community visits, developing/implementing individual case plans, providing mediation and advocacy with landlords, assisting with and coordinating access to social services, providing crisis intervention, and conducting Homeless Management Information System (HMIS) annual assessments. Erin was previously a Supervisor for Meals on Wheels and received her Bachelor’s Degree from Indiana University Southeast. She lives in Old Louisville with her 8-year-old son. Erin has been on staff at the Coalition as the Monitoring and Training Specialist since July 2018. Her duties include the administration of the Louisville/Jefferson County Homeless Services Continuum of Care; the creation and implementation of a monitoring program for recipients of U.S Department of Housing and Urban Development Continuum of Care funding; tracking program performance measures; and providing technical assistance and training to recipients of Continuum of Care funding in Louisville. Erin earned her BA in Psychology from the University of Louisville and a Master’s Degree in Social Work at the University of Hawaii. 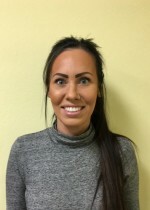 Prior to joining the Coalition, Erin worked in Hawaii’s housing and homeless sector for nearly ten years, specializing in Rapid Rehousing programs, chairing the Continuum of Care’s Statewide Data Committee, and providing disaster relief services to all Hawaii Islands and the Northern Mariana Islands. In July 2013, the city of Louisville launched a new shelter bed reservation process called Single Point of Entry (formerly called “Bed One-Stop”), which allows homeless individuals and families to reserve beds in person or on the phone. The goal of this new venture is to inspire coordination and collaboration among our emergency shelters and prevention/diversion service agencies in Louisville. To reserve a bed, call (502) 637-BEDS between the hours of 10am and 4pm daily.